To continue with a discussion that we started a couple of years ago, I will again visit the question of how many planets are there in the Solar System. The answer today is more complex than it was three or four years ago when we could say, simply, "Nine." The International Astronomical Union (hereafter referred to as the IAU) created another category for objects that are large enough to be relatively spherical shape, that orbited the sun but that aren’t large enough to have cleared their obits of additional debris... which was the new, third criterion for a planet and which always struck me as a nonsensical way of demoting Pluto from its status as a planet. Pluto and another Kuiper Belt object (Pluto on left, Eris on right), Eris, are now known as Plutoids rather than dwarf planets. That distinction belongs to Ceres which once was considered a planet and then the largest of the asteroids. It was demoted to asteroid when more and more of them were discovered. In fact, Ceres might be the only object of its kind and at the moment is the lone dwarf planet that is not also a Plutoid. Plutoids, then, are objects that a spherical, orbit the sun beyond Neptune, and are objects in the Kuiper Belt known as Kuiper Belt Objects (KBO which seems to be broken down into Classical KBOs or Cubewanos and Resonant KBOs) and are also Trans-Neptunian Objects (TNO) and I’m sure that if I looked farther I could find more qualifications. Oh, yes, the moons of Plutoids (or more properly, the satellites) are not Plutoids and therefore not KBOs or TNOs. The question that springs to my mind is which is the satellite and which is the Plutoid in the Pluto - Charon system. There are about another dozen objects that are being considered as Plutoids. These include 2003 EL 61, Sedna, 2005 FY 5, Quaoar, Orcus and Ixion, all larger than Ceres and then 2002 AW 197, Varuna and 2002 TC302 which are smaller. Now some of these are cubewanos, or SDOs (which are scattered disc objects) or plutinos (which, apparently are TNOs that orbit the sun twice for every three orbits of Neptune)... Are you confused now? Yeah, me too. Well, let’s see if we can’t complicate this even more. There are two additional objects that are in the process of being named Plutoids. There are called Easterbunny and Santa and both have other, long designations. And, I seem to remember something about an object way out, maybe beyond the Kuiper Belt and into the area of the Oort Cloud. It’s about the size of Mars. What are they going to do about that if the size is verified? In fact, in the last couple of days, astronomers have suggested a large object out there that would be, currently, the largest of the Plutoids, but this is not based on observation. It’s based on the gravitational permutations of the various objects out there. This is how Pluto was discovered in the first place. They were looking for a planet that caused disturbances in the orbits of the outer planets which makes me wonder if all that debris out there might not account for the trouble. What this means is that there might be something else out there that is the size of a "real" planet... or if this new speculation is true, there might be two. What we can now say about the Solar System is that there are eight planets. These range in size from those small, rocky planets of the inner Solar System (Mercury, Venus, Earth and Mars) and the large gas giants of the outer Solar System (Jupiter, Saturn, Uranus and Neptune). It strikes me that we could further define planet if we wanted to, breaking them into two additional categories because the inner planets are certainly different than the outer planets in size, structure and number of satellites (there are only three known for the inner planets and about 150 for those in the outer system... in fact two of these satellites are larger than Mercury, but I digress). Beyond Neptune are the Plutoids, that is, Pluto and Eris (which between them have more satellites than the four inner planets combined). They might be joined by a dozen others, including two that are in the process of being accepted as Plutoids, as I mentioned. There are some estimates that suggest there might be fifty of these objects, some about a light year or so from the Sun. These objects, like Pluto and Eris (which is thought to be slightly larger than Pluto) have diameters between 2000 kilometers and about 700, making the smallest, smaller than Ceres. Ceres, because of what it is, the size it is, and the location of it, is currently the lone dwarf planet that is not also a Plutoid. There is speculation that there will be other Ceres-class dwarf planets, though I don’t know where they would be hidden. So, the answer to the question of how many planets, is still eight. But now we have several other large objects that are being grouped under a variety of categories, which falls under planet... more or less. If you have questions about this, don’t ask me. I’m as confused as the rest of you. I have thought long and hard about the following. I know that most everyone doesn’t care about the personal squabbles of various researchers. Instead they are interested in the best information available, and these squabbles become tiresome and distracting. Yet sometimes it is necessary to respond to allegations and sometimes it’s necessary to correct inaccurate information. Sometimes the debunkers believe that because you have said nothing about their nonsense they are either right or that you have no response. Sometimes I don’t bother to answer because the stuff is just so ridiculous that I’m sure everyone sees it for what it is. But, once in a while you run into information that is just too perfect to ignore. Yes, I said that I would ignore Kal Korff but the other night I was looking up something in his poorly researched and misleading book when, on page 89 of the original hardback edition I found a statement that there were no black sergeants at Roswell. He mentioned there that he had proved, in a previous chapter, that there were no black sergeants. So I looked that up in Chapter Two and on page 55 saw that in recounting what Bill Brazel had said, Korff was making the point that Bill’s testimony could be ignored because Bill had said something about a black sergeant being among the soldiers who had visited him and retrieved the few bits of metallic debris he had recovered. 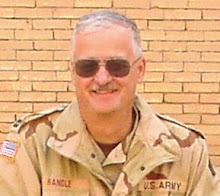 If there were no black sergeants at Roswell, then Brazel, at best, was mistaken. This overlooks the fact that the team who visited Brazel might have come from Albuquerque or Alamogordo and that Brazel wasn’t sure that they were from Roswell. What Korff should have been able to deduce, and if he couldn’t have deduced it, he should have been able to learn about through some of the published discussions about Brazel, was that Stan Friedman had taken an interview that Don Schmitt and I had conducted with Bill Brazel (recorded on audio tape) and used it in his book. Brazel had told me that the four soldiers who visited him, an officer, a sergeant and two others had been real nice. Friedman, using that quote, inserted the word black, parenthetically, into the quote. There was no justification for that insertion, other than to attempt to corroborate the tales told by Gerald Anderson and Glenn Dennis who talked of a black sergeant. Anderson’s tale has been discredited while Brazel’s has not. I called Bill Brazel when Friedman’s book first came out and asked him about the racial identity of the soldiers who had visited. He made it clear that they all have been white. So, the mistake here wasn’t Bill Brazel’s, but was Stan Friedman’s. There was no black sergeant with that small group which means that Korff’s criticism of Brazel, on this point, breaks down. We’ll wait for Korff to admit his mistake on the point, though the real criticism here belongs to Friedman for inserting the word. Now to the other part of Korff’s criticism. The idea that there were no black sergeants in Roswell is also in error. 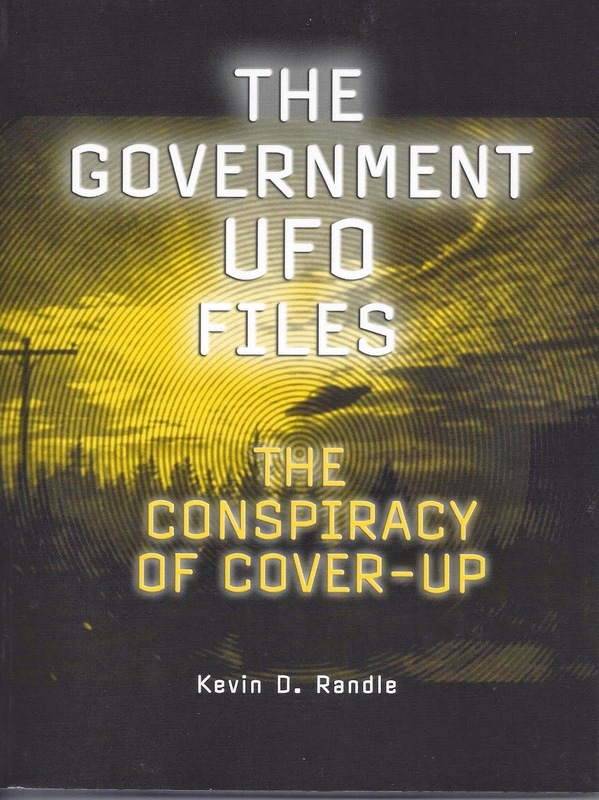 He claims on page 55, "Indeed, a check with Air Force officials revealed there were no black sergeants (emphasis in original) stationed at Roswell Army Air Field in 1947." He said that the services had been segregated in 1947. That was true, but you had units made up of black soldiers. They were mostly in support roles but some found themselves in combat environments and preformed as we have come to expect of all American soldiers. But the point is that there were many black soldiers serving in the military in 1947. Anyway, Korff said that this information came from Air Force officials. His footnote suggests they were historians at the Pentagon, but by my count, there were, at least, twenty-four black sergeants station ed at Roswell in 1947 and that count might be off slightly. 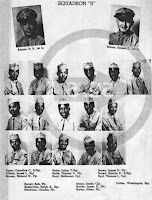 Walter Haut told me that ten to twenty percent of the soldiers assigned to the base did not appear in the Yearbook he produced in 1947 (A page of the Yearbook shown here, including six black sergeants). This means there could have been another four or five. 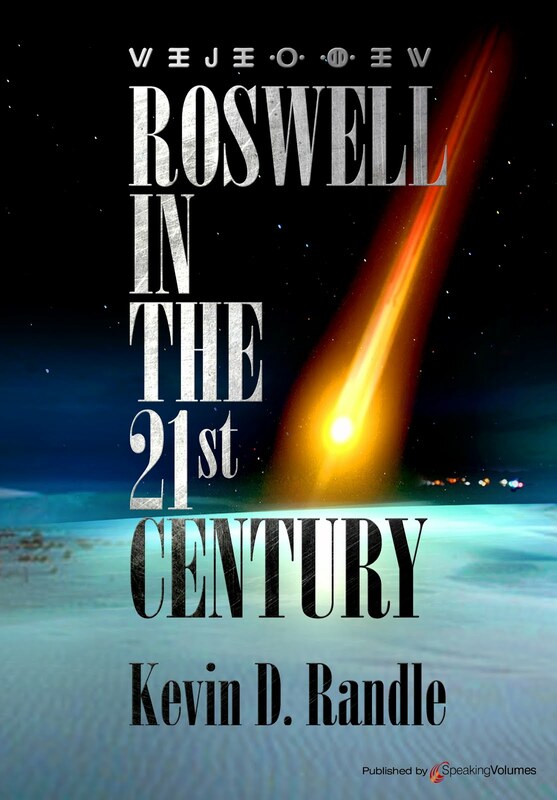 Rather than call someone who wasn’t in Roswell in 1947, Korff should have tried to find something a little more relevant. As I say, this was such an egregious error, that I thought I should point it out. Maybe if Korff wasn’t attempting to gain the moral high ground by suggesting his book was so far superior to all others, I wouldn’t bother with this. But it does suggest a pattern. One that any information that suggests Roswell can be explained is accepted without verification, or improper verification, and any positive information is attacked without regard to the truth. This is just one of the many examples. This does go beyond mislabeling the V-2 as a buzz bomb as Korff did. That is a simple mistake. This is one in which he claims that Air Force officials bear out his conclusion, but a single telephone call to the right place would have provided the truth. There were black soldiers assigned to Roswell and, at least, twenty-four were sergeants. that he ever appeared on the front page. So what is Bill Brazel, Jr. talking about when he says he saw his father on the front page... well, he couldn't be referring to anything that was real or true, because it never happened." Let’s overlook the typical Korff nonsense of changing the words to suit his perspective (note I said read ab out his father and nothing about a picture of him), the rest of the statement is wrong as well. First, I did search the Albuquerque newspapers, both of them and have copies of the relevant articles in my files (Which, of course, means Korff is wrong about me not checking the Albuquerque newspapers because I have copies in my files as seen here). 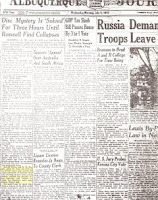 On the front page of the Albuquerque Journal of July 9, 1947, we can read, "Sheriff Wilcox said W. W. Brazell [sic], about 50, made the find on the Foster ranch near Corona 85 miles northwest of Roswell..."
In the Albuquerque Tribune (what? There’s another newspaper in Albuquerque? ), the headline said, "NM Rancher Sorry He Said Anything about ‘Disc Find’." The lead said, "W.W. Brazel, the New Mexican rancher who was originally thought to have found the nation’s first flying disc..."
The other thing that Korff gets wrong is the idea that Bill Brazel was somewhere in town one day and he suddenly reads the newspaper that his father has recovered some sort of flying saucer. Bill Brazel told me in a personal interview that he actually lived and worked in Albuquerque at the time, so it wouldn’t have been unusual for him to have read one of the two daily newspapers. And, of course, both mentioned Bill’s father in connection with a flying saucer. Doesn’t matter what the outcome was, whether you want to believe the weather balloon (Mogul) story or it was a flying saucer, the facts are that Brazel’s name appeared in the newspapers including a front page story in the Albuquerque Journal. So, everything I reported in the paragraph is accurate. By the way, for those of you keeping score at home, here is a picture of Mack Brazel that did appear in newspapers around the country. This one happens to come from the Oregon Journal. What we see here, is the evidence that Korff has created a non-issue. Clearly I had checked the Albuquerque newspapers and reported, accurately, that Bill Brazel read about his father. Clearly I did this during the investigation because I had copies in my files. And Clearly, Mack Brazel's picture did appear in some newspapers, because I have a copy of that as well.